May 9-12; July 18-21; and August 22-25, 2019 (Thursday evening to Sunday noon). The final deadline for applying is April 15, 2019. Applications are accepted on a rolling basis. This program is capped at 14 participants and we recommend that those interested apply early to avoid disappointment. 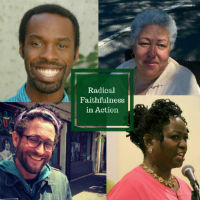 Click here to learn firsthand from facilitators Matthew Armstead and Joshua Kahn about their experiences working with participants in Radical Faithfulness in Action. Matthew Armstead is a cultural organizer in Philadelphia, PA, USA, and works at the intersections of art, spirituality, and social change. Matthew is a core trainer with Training for Change, and roots his approach in their Direct Education pedagogy – which challenges traditional education, confronting the beliefs, conflicts, and oppression that keep leaders and groups from being their most powerful. He has organized for environmental justice, racial justice, and LGBTQ liberation, and is currently working with masculine-identified people to be better listeners and actions partners. 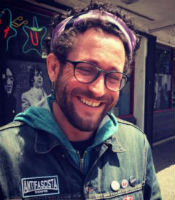 As a facilitator, he has worked with diverse groups of people from Occupy Wall Street activists to Ivy League university students, and led sessions on a variety of topics such as anti-oppression, strategic planning, campaign organizing, peer counseling, nonviolent direct action, training of trainers, and organizational development. Matthew interweaves his background as a community organizer, activist trainer, and physical theatre performer/creator to create opportunities for people to experience what they dream to be possible. His artistic work focuses on ensemble-devised performance that engages audiences as active participants. He completed an M.F.A. with Pig Iron Theatre Company, and has a B.A. in Theater and Women’s Studies from Swarthmore College. 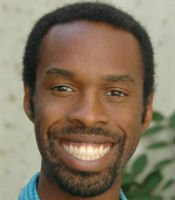 Each guest facilitator will join Matthew Armstead in facilitating portions of the on-campus residencies. Erva Baden is a contemporary shaman who weaves together healing modalities with compassion and humor to journey with clients committed to their own deep transformation and healing. She is a Reiki Master and has more than 25 years of experience in facilitating the deep emotional process and release work nationally and internationally in men’s, women’s, and mixed-gender circles. 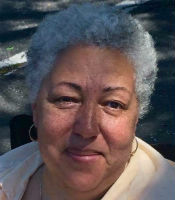 She has studied energy work, chakra healing, and core shamanic techniques, as well as trauma recovery and the intergenerational effects of trauma. Founder of Ecclesia Spirit, an inclusive, interfaith spiritual community, which has met monthly for the past seven years. Founder of the While We Wait Project. Here she provides spiritual and emotional support to loved ones of incarcerated individuals. A Leeway Art for Change grant sponsors this project. Facilitator of conversations on race and healing, including with Interfaith Peace Walk. She is also a facilitator for A World of Difference Institute. Rev. 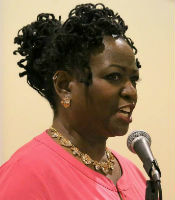 Rhetta is very active in the Philadelphia area, using music she writes and sings to inspire and heal. Alongside ministerial work at Ecclesia, she uses her voice to create inclusive sacred space, recently this included performing for the Town Hall on Incarceration and Gender hosted by the Leeway Foundation + Bread and Roses Community Fund. She is a board member of Earth Quaker Action Team and has worked Philly Thrive, PILOTS’ student organizers, MAYPOP, The New Economy Coalition and Protecting Our Waters. Some of her most meaningful work is mentoring and counseling activist leaders, encouraging self-care and what she calls a spiritual toolbox to aid against despair, overwhelm and depression. Joshua Kahn is a social movement facilitator who has trained thousands of activists across the globe. He is the Executive Director of The Wildfire Project, and facilitator/ action-coordinator with the Ruckus Society. Most recently, Joshua managed the Global Training Program at 350.org. He has helped campaigns win against banks, oil companies, logging corporations, and coal barons; worked with a wide variety of groups in a breadth of arenas, from local resiliency projects, to national coalitions, to the United Nations Climate Negotiations. He has spent the last 17 years as an organizer, campaign strategist, and non-violent direct action coordinator. Travel directions to Pendle Hill. Click to view the flyer. For more information, please contact Lina Blount at 610-566-4507, ext. 122 or lblount@pendlehill.org.